KYOTO - Influential Japanese philosopher Takeshi Umehara died of pneumonia at his home in Kyoto on Saturday. He was 93. Umehara, who was awarded the Order of Culture in 1999, addressed not only philosophy but also touched on wide-ranging topics about Japanese culture. Born in Sendai, Umehara served as a professor at Ritsumeikan University and also as president of Kyoto City University of Arts, the oldest art university in Japan, after graduating from Kyoto University’s philosophy department in 1948. Initially he focused on Western philosophy but then shifted his attention to Japanese culture, particularly ancient history and Buddhism. His research activities went beyond existing academic boundaries, resulting in a variety of publications reflecting his unique perspective. In a 1972 book he said Horyuji temple, in Nara Prefecture, was built to soothe grudges held by the family of Shotoku Taishi, an ancient prince and politician known for promulgating the first written code of laws in the country. After publishing “Jigoku no Shiso” (“The Concept of Hell”) in 1967, Umehara wrote a number of Buddhism-related books including on religious school founders Honen and Shinran. 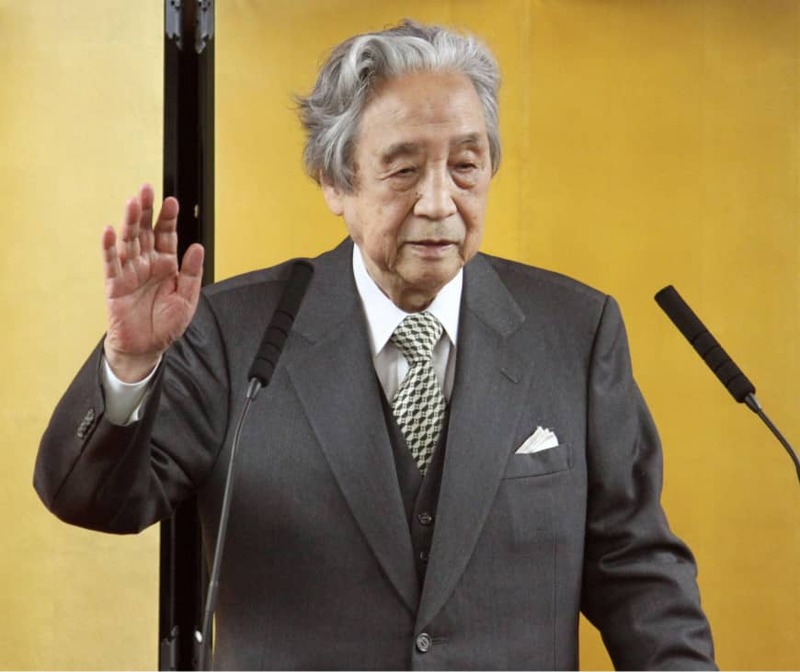 He also helped establish the International Research Center for Japanese Studies in Kyoto, and served as the first head of the center from 1987 to 1995. In recent years, he studied a “philosophy of mankind” about the coexistence of civilization and nature. In a 2010 book that presented his own views about Izumo, in present-day Shimane Prefecture, myths regarding the birth of Japan drew public attention. Umehara was critical about organ transplants from brain dead donors and nuclear power generation. 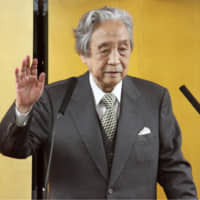 Together with writers Kenzaburo Oe and Jakucho Setouchi, he called for the establishment of “Kyujo no Kai,” a group advocating war-renouncing Article 9 of the Constitution. He joined a government panel as a special adviser to design reconstruction programs for areas devastated by the March 2011 Great East Japan Earthquake and tsunami that devastated parts of the Tohoku region. Umehara also wrote “Yamato Takeru,” the first “super-kabuki” play which premiered in 1986, in an attempt to breathe new life into the country’s traditional performing arts. He headed the Japan P.E.N Club, for writers, for six years from 1997. Umehara was named a Person of Cultural Merit in 1992.